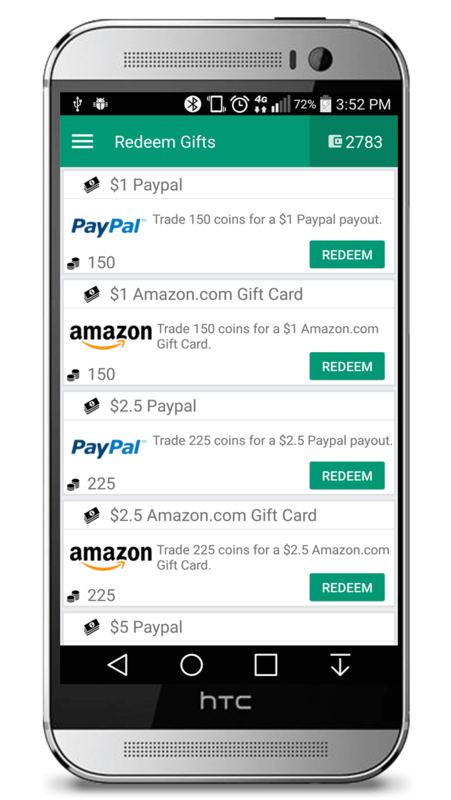 Pocket Bounty - Free Cash and Gift Cards. Pocket Bounty - Free Cash and Gift Cards. Discover Awesome Apps, Complete Easy Tasks, Watch Videos and Earn Cash & Gift Cards. 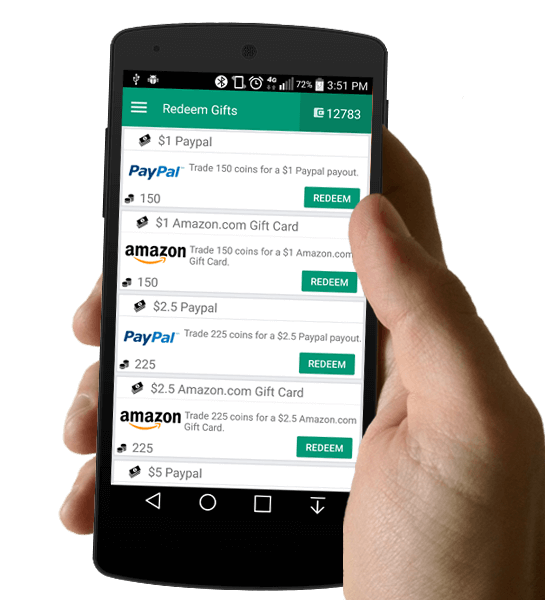 Get paid via Paypal, Amazon, Google Play and other Gift Cards. Now available on Android . Sounds Awesome? This is how it works! 1. 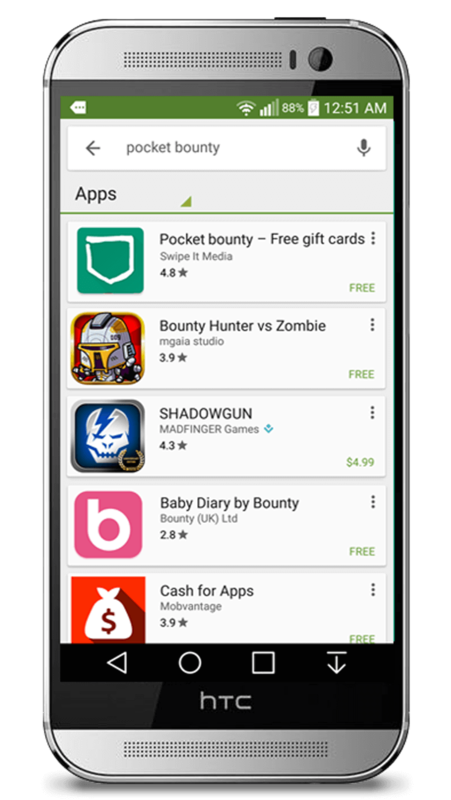 Download Pocket Bounty From Play Store. 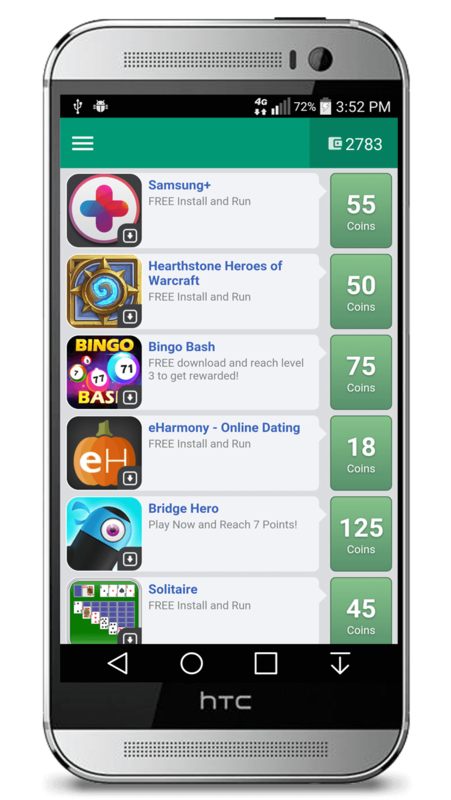 Earn Coins by Watching videos, Downloading Apps and Completing Offers. Even by Referring your friends. Many more gifts are added.Check out our Redeem Section.